Dhaka, Apr 6 (Just News): BNP Chairperson Begum Khaleda Zia has instructed her party to "continue peaceful movement for restoration of democracy". 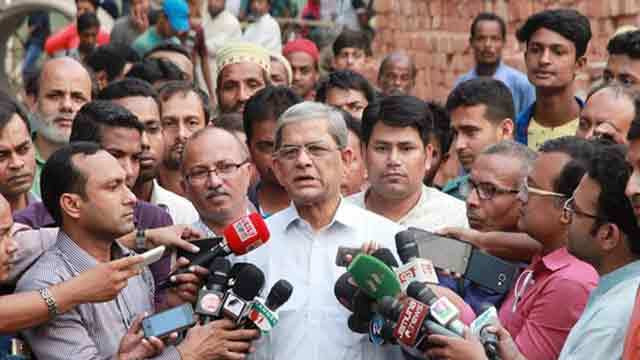 The instruction was passed down to party's Secretary General Mirza Fakhrul Islam Alamgir when the latter visited begum Khaleda Zia personally at Dhaka's old central jail. "Her (Khaleda Zia) health is not better, but she is mentally strong. She has asked me to continue peaceful movement," Alamgir told reporters at jail gates, after the visit. BNP has been continuing peaceful protests and demonstrations since Khaleda Zia was jailed in a case on February 8.